Ian Shive’s landscape photograph of a ranch in Central California is the leading image for The Nature Conservancy’s latest foray into the digital world – the iPad! It is exciting to see conservation and nature photography reaching audiences in new ways. 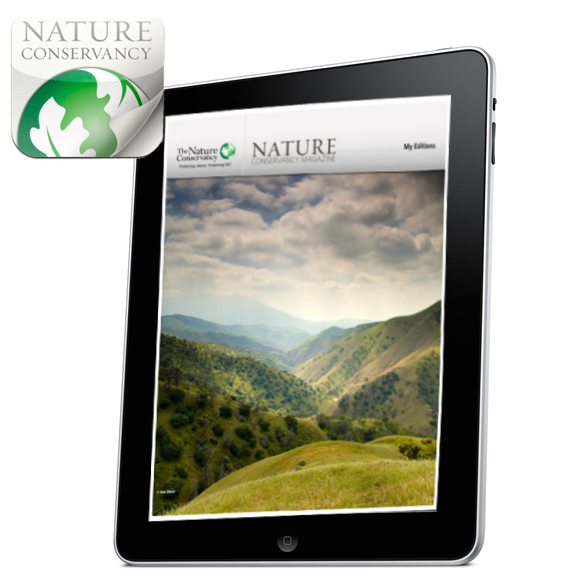 To preview on your iPad, visit the TNC page on iTunes. This entry was posted in nature, tearsheets. Bookmark the permalink. Congratulations, Ian! Your work is most deserving of the honor. I saw you on Nature Conservancy’s facebook page. Beautiful, emotive photos. They induce wanderlust and a desire for immersion in the wild. Thanks for sharing your unique perspective.